As you most likely know, I am an advocate for all things natural. I champion local, organic food because it's as close to the natural source as you can get, I only take herbs, vitamins, and minerals that contain natural ingredients, and all my personal care and house hold products are chemical-free. I am also obsessed with holistic therapies, with acupuncture, EFT (tapping), yoga, infra-red saunas, flotation therapy, massage, kinesiology, and chiropractic care being part of my ongoing repertoire. I was looking for something new to support my healing journey back to wellness when my friend, Naturopath and Reiki Master, Sally introduced me to doTERRA essential oils to address my health concerns, and mainly the big doozie - Lyme Disease. I started using them to support my emotions and health, and this was only the beginning of my aromatic adventures. I started using them for common house hold ailments with my husband and kids. Occasional minor headaches, upset stomach, seasonal discomfort and general soreness and minor pain. I watched each time as these oils helped relieve my symptoms, and those of my family. Next thing you know I was having a couple of drops of Frankincense to reduce body pain, Lemon essential oil in my water to flush my body of toxins, inhaling Peppermint to zest me up in the morning, having a Balance and lavender Peace bath with epsom salts when I had a long day, putting Lime and ginger oil in my stir-frys, and gargling On-Guard if I felt sick. I felt good about how I was treating my body. And with no side effects! I knew it would be come a part of my journey of natural healing, and with daily use of these essential oils I felt ready to support my body back to health and balance. I have noticed that the oils help keep my mental and physical health in balance and at its optimal state. I have energy for the first time in a while, and best of all I can address 95% of life’s little emergencies naturally. I am always grateful for Western medication, but I am grateful I have found an alternative that is affordable and doesn’t give me, or my family side effects. Quality of essential oils is…essential! Essential Oils claim to have many therapeutic and medicinal benefits, but you want to have the absolute best quality product that the market has to offer so that you can receive the maximum benefits of each oil. Quality matters and purity matters. Most essential oils you buy from the store are going to go rancid after a couple months to a couple years. That is because of all the junk in them. Your Certified Pure essential oils will last a lifetime, and probably many generations beyond. doTERRA, meaning Gift of the Earth, is producing essential oil products to the highest standard of quality, purity, and safety used in the industry—CPTG Certified Pure Therapeutic Grade. I love that doTerra Oils care about their farmers who extracted these precious oils. It matters to me that this company sources their oils from their natural habitat and origin of growth to get the best oils possible and maintain the necessary chemical components of them. It speaks volumes that the company does not dilute their oils for sale, but keeps them completely pure and unadulterated. I use these pure and powerful essential oils because I know that I can trust the product, and receive maximum benefits from an extremely potent oil. Did you know that 1 drop of peppermint oil is equivalent to 28 cups of peppermint tea? That’s what I’m talking about! Before you run out and buy essential oils, make sure to do your research and see if it has that CPTG label and 3rd party testing. I’m so excited you are interested in learning more about essential oils. When it comes to essential oils, quality matters; and that is why it’s important to be confident in the essential oil brand you choose to use for your family. d0TERRA sets the standard in the essential oil market. I fell in love with the quality and the impact dōTERRA is making around the world with their Co-Impact sourcing. 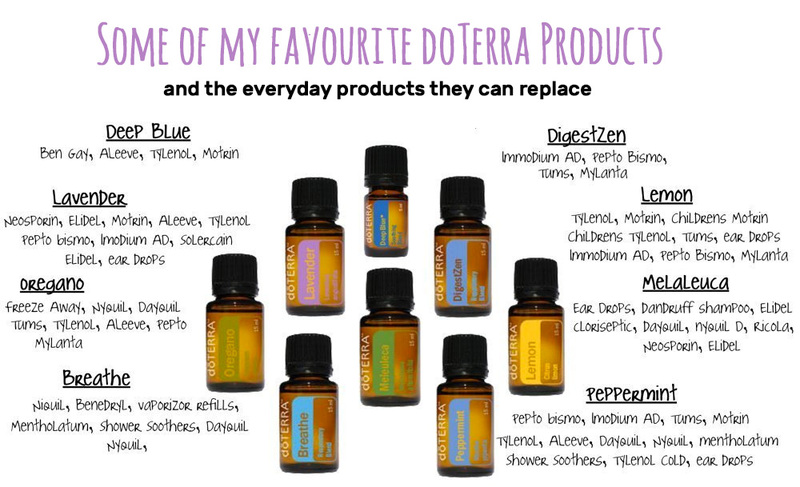 Ready to try out some doTerra essential oils? dōTERRA is sold exclusively through independent distributors like me. I’m certified as an integrative nutrition & health coach, which means I’m trained to help you put together a fun realistic & actionable plan to start feeling & looking better FAST. You can buy the essential oils, as a one off at a retail price. However, most people start with a wholesale starter kit. It’s the best savings and the steepest discount! Plus you get free membership with discounts! step three: Have another free wellness chat with me so that you can move forward and create a natural lifestyle with your new oils! 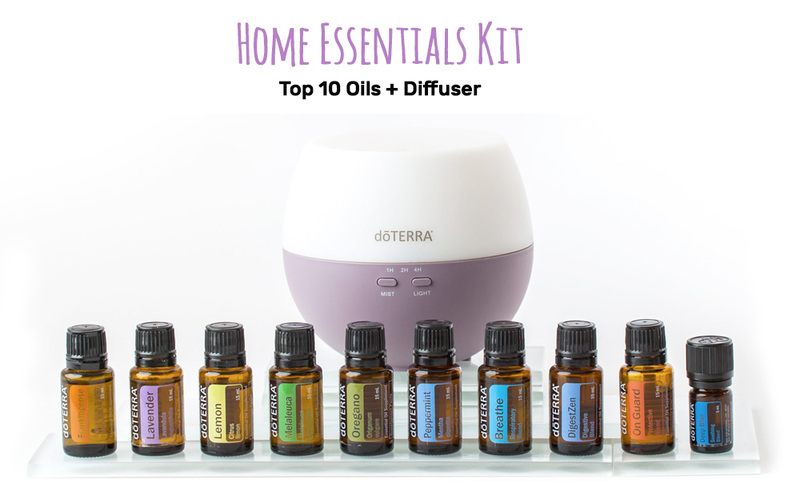 The Home Essentials Kit includes the top 10 most loved essential oils in full-size bottles, plus the 4-hr Petal Diffuser for dispersing oils into the air of your home. This is a great economical kit that can replace your pharmaceutical medicine cabinet and help support the entire family. Need help? Email me me and I’ll help you figure out what oils or kit fit your needs! It’s important to note that if you get a wholesale membership, there is never ANY requirement or pressure to sell. Ever! That’s why I got into this and why I like it so much, because it’s a genuine process of sharing a holistic lifestyle based on legit natural products. End of story! If I enrol to purchase products at wholesale prices, does that mean I have to sell dōTERRA? No! You always have the option to make a commission and residual income by enrolling others, but you absolutely do not have to. You can personally enrol simply for the benefit of the 25% discount. The cost is $35 the first year. If you purchase one of dōTERRA’s enrolment kits when you sign up, the $35 fee is included in the price of your kit. What is an enrolment kit? An enrolment kit is a collection of products that dōTERRA has put together, so that you can try some of their best-selling oils without having to guess at which ones you need. Purchasing one of these kits already includes the $35 enrolment fee. Do I have to purchase an enrolment kit when enrolling? No. You can pick and choose what you want, “a la carte” style, instead of a kit, if you choose. By doing it this way, you are charged the $35 enrolment fee in addition to the products that you’ve added to your cart. No! You can place one order the month you enrol and never order again, if you don’t want to. There are definitely benefits to placing an order each month, but you are not required to do that.